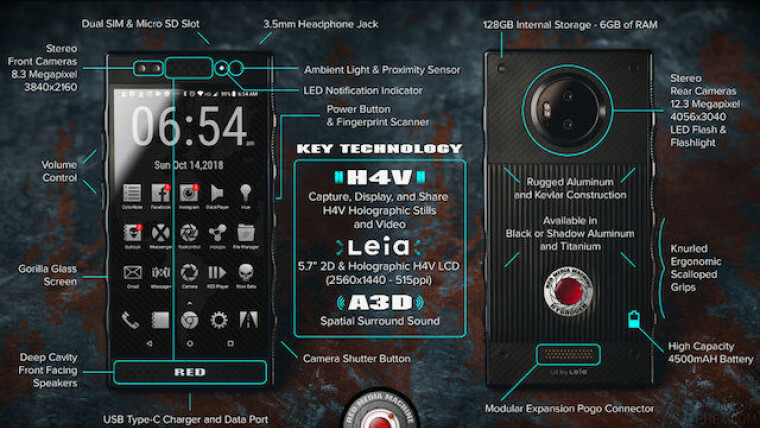 The RED Hydrogen One has been a long time coming and after delays, it is finally making its way to those that pre-ordered devices a little over a year ago. While there has been a lot of talk about its display, there hasn't been much divulged when it comes to the handset's specifications. 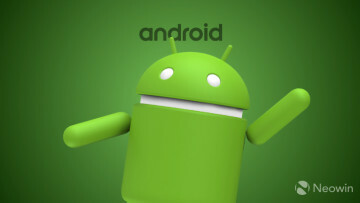 Luckily, a new specifications sheet has been discovered, giving us most of the details about the upcoming phone. 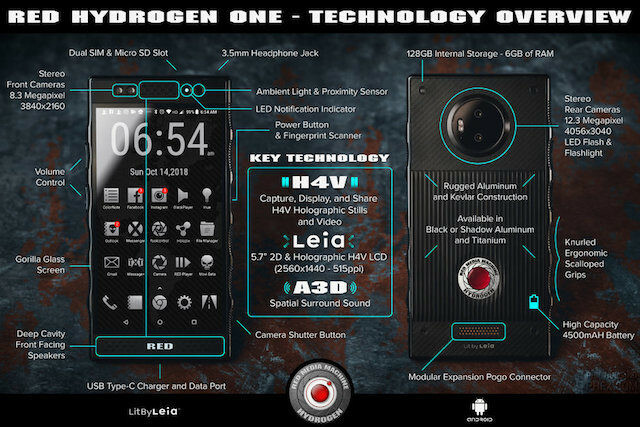 We know from previous reports that the Hydrogen One will be powered by a Qualcomm Snapdragon 835. The new infographics shares that the processor will be paired with 6GB RAM and will also have an internal storage capacity of 128GB. 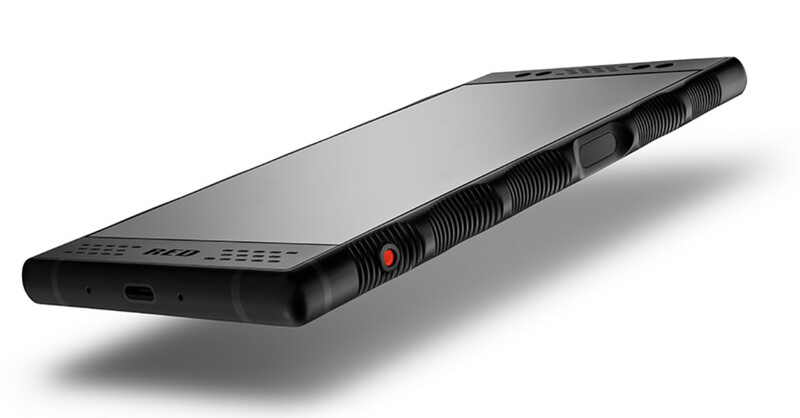 The phone will have a 5.7-inch Holographic H4V LCD display with a resolution of 2560 x 1440 and 515ppi. The front of the smartphone will be protected with Corning's Gorilla Glass and will also have dual front-facing stereo speakers, along with an 8MP front-facing camera. Perhaps what folks have been wanting to know most about is the phone's cameras and according to the details shown in the image, it will have dual 12.3MP rear cameras with LED flash. 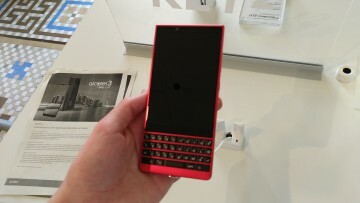 The rear case will be constructed from kevlar and aluminum, and will also feature a pogo pin connection for additional RED accessories. The device will also make use of a 4,500mAh battery. Although the specifications seem fairly average for a phone released in 2018 with the exception of its processor, we won't know how well it works until we are able to see the images and videos coming from the unit. 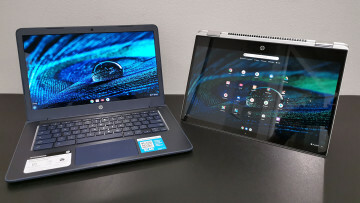 Hopefully, the hype and price tag are worth it for those that have purchased the device.